Summer is right around the corner. Here are our favorite, affordable ways to get out and enjoy a South Florida Summer. Learn about sea turtles with a free visit to the nonprofit Loggerhead Marinelife Center in Juno Beach or our own Gumbo Limbo in Boca Raton. The state-of-the-art centers and hospitals are dedicated to endangered sea turtles, their rehabilitation, and research. Special tours, beach programs and kid camps also are available for a small fee. Some bowling venues in Broward are participating in Kids Bowl Free programs. Register online for whichever venues you prefer, or all of them. The program typically allows two free games of bowling per day on eligible days. The rules and valid ages vary with each venue. For renting bowling shoes, standard fees apply. Sawgrass Lanes 8501 N. University Drive, Tamarac, 954-722-2700, is offering two free games of bowling per day, eligible days and times. The free games are based on availability. Phone first the days you want to bowl. The free bowling is offered April to October, except Saturdays. Registration is online. Cinemark Summer Movie Clubhouse offers $1 kid movies at 10 a.m. Monday through Thursday. Click here to see movies and find participating theaters. Regal Summer Movie Express offers $1 kids movies starting June 13 at 10 a.m. on Tuesdays and Wednesdays. Paragon Theaters free kids movies show at 10 a.m. Tuesdays, Wednesdays and Thursdays starting June 13 through Aug. 17. Are you a Bank of America customer? If so, get free entry of the first full weekend of each month to many museums throughout our area with the Bank of America Museum on Us program. The American Museum of Cuban Diaspora also offers free entry on the first full weekend of each month with a Merrill Lynch credit or debit card. Miami Children’s Museum in Miami offers free entry on the third Friday of each month, compliments of Target. The Museum Pass Program offers free entry to the Frost Science Museum and 11 other museums with a Miami-Dade County Library Card. Also, save 10 percent on museum memberships during Museum Month in May, too. Norton Museum of Art in West Palm Beach offers free admission throughout 2018. Zoo Miami is participating in the Summer Savings Pass, which offers unlimited visits to the attraction along with Lion Country Safari, Museum of Discovery and Science and Miami Seaquarium. Passes are $58 for adults and $48 for kids ages 3-12. Stop by Island Water Sports to grab a mask and snorkel and jump in anywhere along our South Florida Coast to see our incredible marine life. 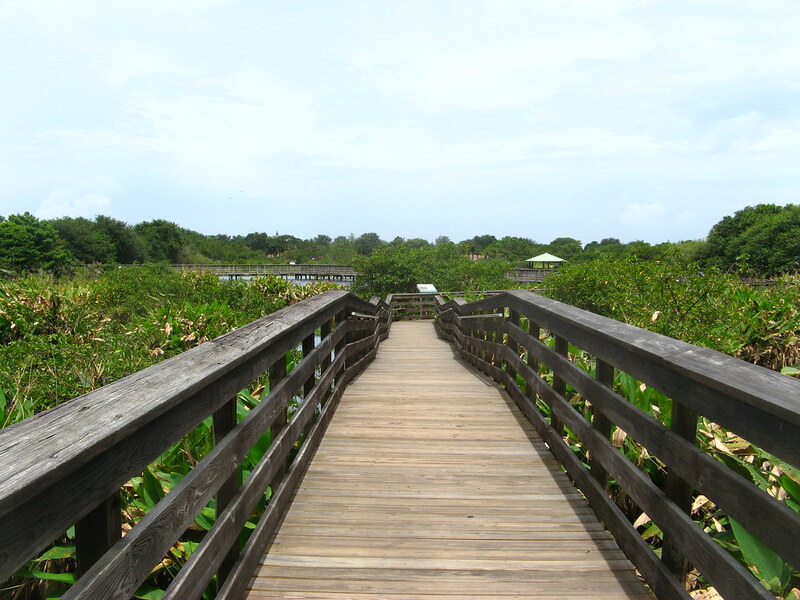 If you are looking to take a quick road trip, consider visiting Phil Foster Park, at 900 Blue Heron Boulevard in Riviera Beach. It is home to the world-famous Underwater Snorkel Trail. Beginners and experienced divers can see an abundance of sea life exploring the artificial reef. It spans a two-acre area in 6 to 10 feet of water. There also is a beach, playground, fishing, kayak rentals and more. The Miami Marlins offers freebies and ticket deals, including 50 percent off seats on Tuesdays and free entry for seniors 65 or older on Thursdays. Click here to see the deals. Butterfly World in Coconut Creek is offering buy-one-get-one free admission with the Sunny.org Summer Savings Offers. Just down the street, Deerfield Beach has its own peaceful corner known as the Deerfield Beach Arboretum. Filled with a variety of gardens filled with plants around the world, there are several ways to get more out of your Arboretum experience. There is a free tour every Friday at 10:00 am and the first Saturday of the month at 10:00 am. Also, guided tours are available, for a modest fee. If you are in West Palm, be sure to visit the Society of the Four Arts Botanical Garden. It is free to visit and features native plants that thrive in Florida. Theses beautiful gardens were designed in 1938 and are maintained by the Garden Club of Palm Beach. The Creation Station at Broward County’s main library in Fort Lauderdale offers free classes and musical tutoring, access to ​state-of-the-art computers, 3D printers and virtual reality equipment. ​​​There also are stations at the Northwest Regional Library in Coral Springs and at the Jan Moran Collier City Learning Library​ in Pompano Beach. Feed sharks and stingrays at the Sandoway Discovery Center in Delray Beach and get free entry in June and July by signing up for a Palm Beach County Library Adventure Museum Pass. The Flagler Museum, Schoolhouse Children’s Museum and South Florida Science Center and Aquarium are among 12 museums participating in the annual program. The Sunday Jazz Brunch is an ideal way to relax and enjoy Fort Lauderdale’s scenic Riverwalk. This free, live, outdoor concert series brings the area’s best local jazz artists. Listen to the music on three different stages on the first Sunday of each month from 11 a.m. to 2 p.m. Starlight Musicals kicks off June 8th at Holiday Park . The free Friday night concerts start at 7 p.m. and run through Aug. 10th. Each Tuesday head to the Main Beach Parking Lot located at 149 SE 21st Ave from 7-9pm.Wear your dancing shoes and bring your beach chair for a fun evening under the stars. “Johnny Vincent” will be playing for your entertainment. First Saturday and Sunday in June (saltwater). On Saturday evenings at dusk, the South Florida Amateur Astronomers Association opens the Fox Observatory at Markham in Sunrise – and it’s free. The group also hosts the free “An Evening With the Stars” program at Fern Forest in Coconut Creek on a quarterly basis. 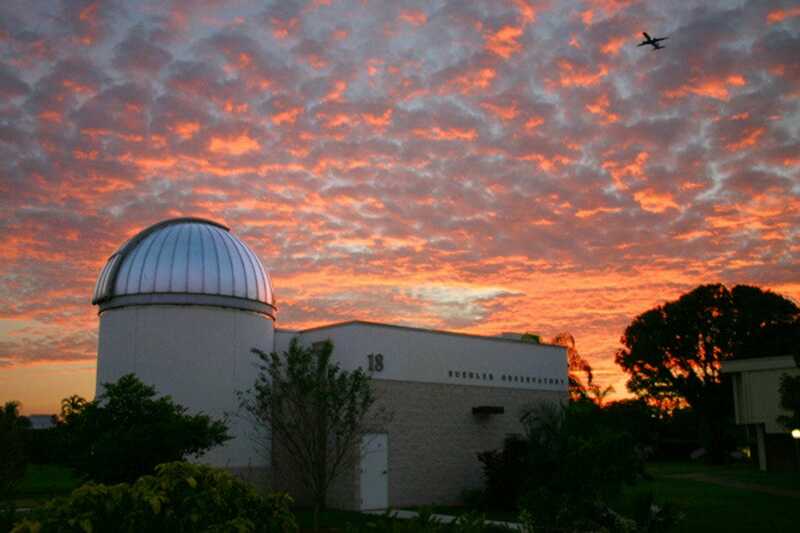 Also, take advantage of the community nights at Florida Atlantic University’s observatory. 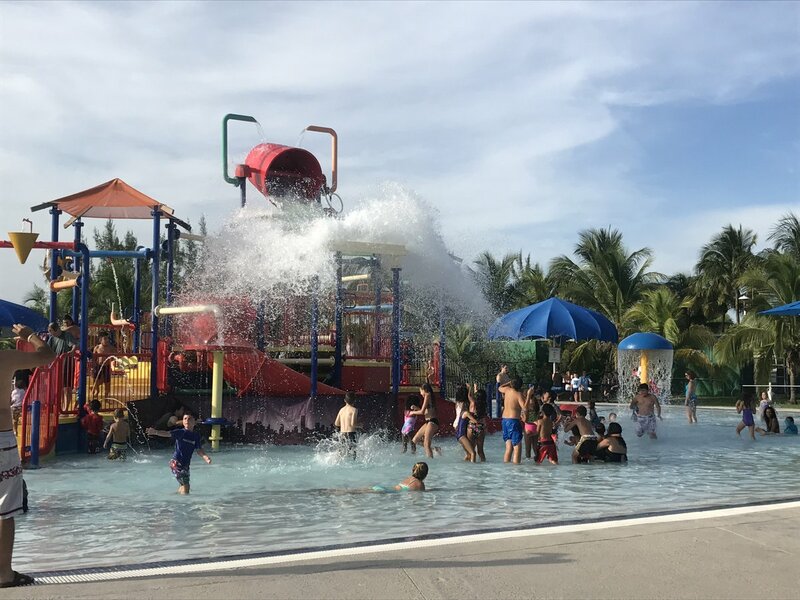 Kids of all ages are invited to Splash under the stars at the Splash Adventure water park at Quiet Waters Park in Deerfield Beach. Get wet on Fridays, June 8 & 22, July 6 & 20, and August 3 & 10 from 6-10 p.m. for just $6 per person. You can also enjoy water parks throughout Broward and Palm Beach Countries. They are fun and affordable ways to get outside and cool off this summer. Experience B Ocean Resorts world-famous Mermaid show. This historic gathering place allows guests to B Social and peak through our porthole windows into the resort pool to enjoy Medusirenas Mermaid Show.